@@@@@@@@@@@@@@@@@@@ SHORT SALE, BANK IS LOOKING AT OFFERS @@@@@@@@@@@@@@@@@@@@@@@@@@RANCH STYLE HOME WITH SOME VERY NICE FEATURES BUT IS IN NEED OF SOME COSMETICS REPAIRS. 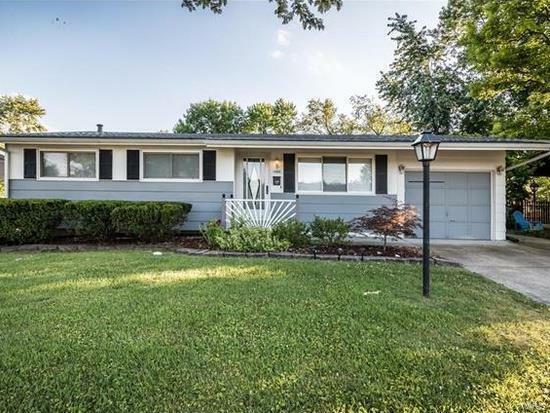 THIS PROPERTY IS CLOSE TO SCHOOLS, SHOPPING, AND HIGHWAYS. THIS PROPERTY IS BEING SOLD "AS IS" WITH THE APPLIANCES LEFT ON THE PROPERTY TO INCLUDE, STOVE, REFRIGERATORS, STACKED WASHER AND DRYER, LOCATED IN KITCHEN/DINING COMBINATION. THIS PROPERTY HAS A PART FINISHED BASEMENT WITH A FULL BATH, TO INCLUDE SHOWER AND SLEEPING AREA. PLEASE NOTE AGENT THAT THE COMMISSION HAS NOT BEEN AGREED ON PER THE BANK, HOPEFULLY THAT INFORMATION WILL BE AVAILABLE LATER THIS WEEK. Listing provided courtesy of Robinson Realty Group. Listing information © 2019 Mid America Regional Information Systems, Inc.